Once again, I am FINALLY sharing a Bookmark Design that I actually made a couple of months ago (and shared on YouTube!). 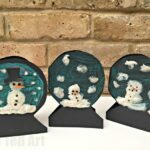 It sometimes takes me a few weeks to finally get it on the blog, especially when I am busy sharing lots of new ideas on the blog itself (we had lots of Christmas Paper Crafts as well as Christmas Crafts for Kids to share!! Especially our FAB FAB FAB Santa Bookmark and Christmas Tree Bookmark – they are oh so cute!). 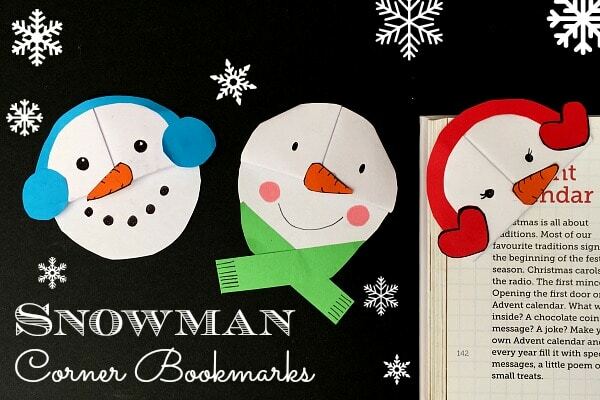 And now, as we enter the new year, I can finally share this Snowman Bookmark Design! Aren’t they lovely? I love each of the three different looks.. so cute and so easy! 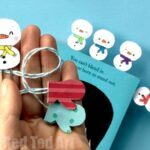 As with all our Corner Bookmark Designs, the basis of this bookmark is a super easy Origami Bookmark design, which we then shape and decorate a little. 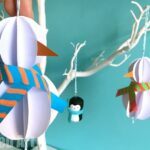 This video shows you how to make the basic origami corner bookmark.. and then the rest is super easy! 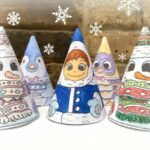 Remember, if you like the video, do check out the rest of my YouTube channel and SUBSCRIBE for free – it is super family friend and I have my child viewers, who watch and get crafty all by themselves!! 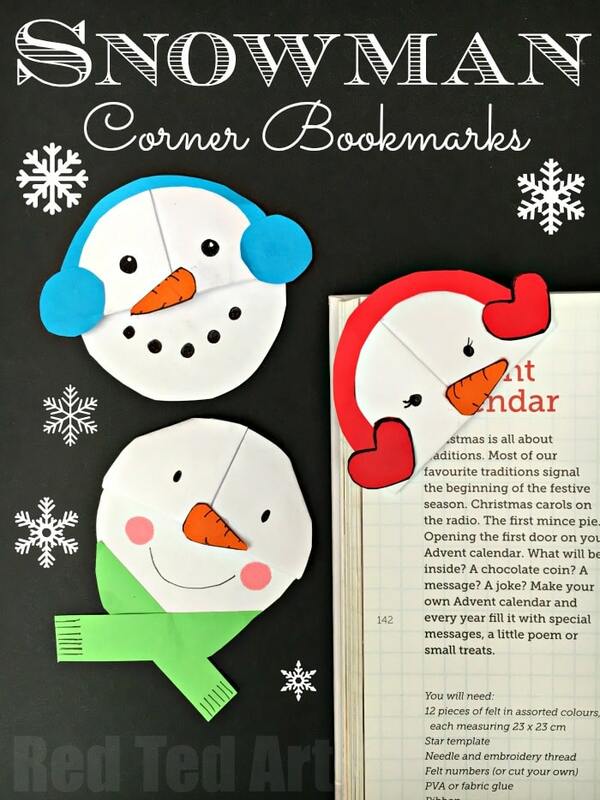 A bit of Snowman Bookmark CHALLENGE FUN!!! 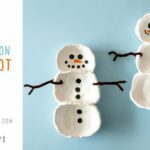 To prove to you how easy these snowman bookmarks really are to make, we had a fun Crafty Challenge video with the lovely Chloe, Natasha and Ali. They made this bookmark BLINDFOLDED!!!! Can you believe it? It was so fun! See how they did! 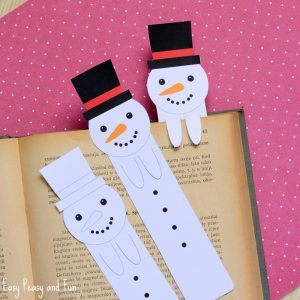 Who do you think should win with their snowman bookmark diy? Enjoy!! 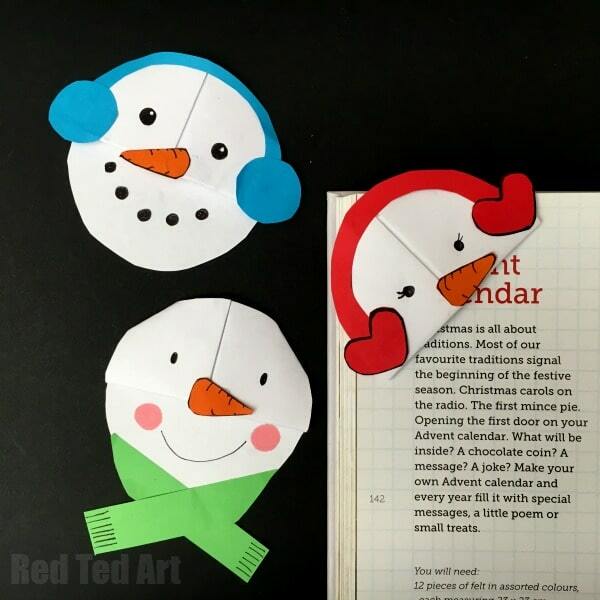 Hope you have fun making your Snowman Bookmark! Would love you to share your photos with me on Instagram, Twitter or Facebook. You can find me on all social media as *redtedart* (surprise surprise!). 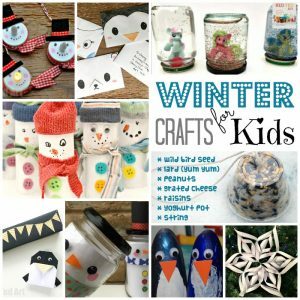 Looking for more Winter Crafts for Kids – our best and fun easy winter crafts for kids – from childhood classic snowglobes, to fun with Snowman Bowling and looking after our feather friends with homemade bird cake. 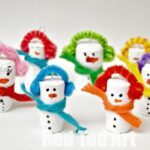 I challenge you NOT to find a winter craft that you fancy having a go at. 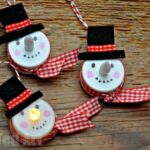 The majority of these crafts use every day materials, so hopefully you can have a go at them straight away! 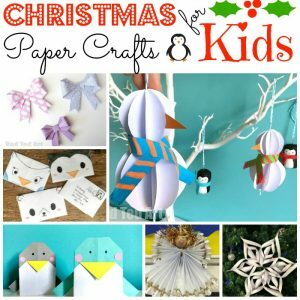 Or how about some gorgeous Christmas Paper Crafts? 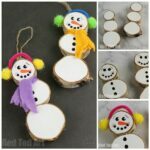 Though as I write this the Christmas Crafts season is officially over, please do visit this post and bookmark it for next year!! Nothing quite like browsing and being prepared!!! 🙂 I love that this set of crafts really just needs paper.. such an inexpensive and yet versatile material.